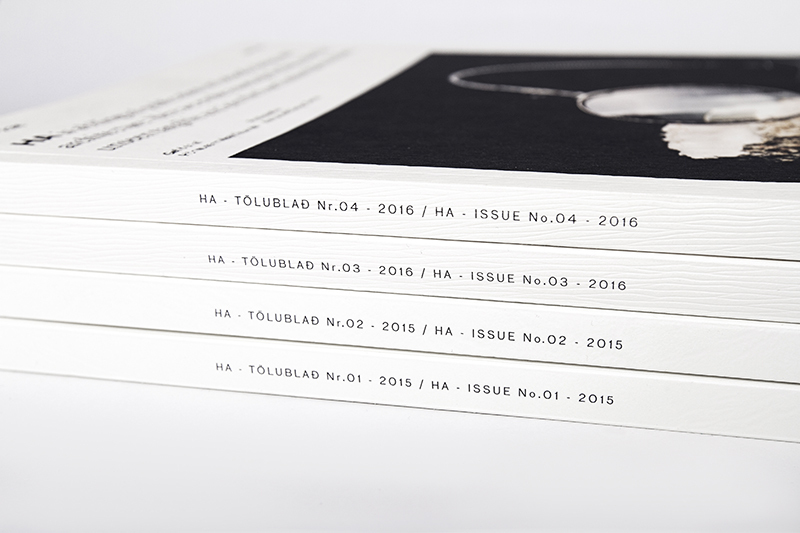 HA is a magazine on Icelandic design and architecture. We cover all aspects of Icelandic design, past, present, and future. From innovative up-and-comers and big talent, HA celebrates designers and architects that shape our world. HA is dual-language publication – published in both Icelandic and English. The biannual magazine is published in late May and November. HA is available in Eymundsson bookstores around Iceland and in most design stores in the capital area, including Epal, NLSN, Hrím, Geysir heima, Akkúrat, Reykjavik Art Museum, National Gallery of Iceland and Museum of Design and Applied Art. HA magazine is published by Iceland Design Centre. The centre is owned by nine associations: Association of Icelandic Architects, The Icelandic Society of Furniture and Interior Architects, The Federation of Icelandic Landscape Architects, The Association of Icelandic Product and Industrial Designers, The Icelandic Association of Ceramic Artists, The Association of Icelandic Fashion Designers, The Icelandic Textile Guild, The Icelandic Goldsmith Association and The Association of Icelandic Graphic Designers. Go to our subscription section. Want to advertise in HA magazine or here on our website?